While fuel efficiency might seem like the latest craze, we’ve been tuned into it for years. 40 MPG cars are nothing new. Other sources may be content to simply throw up a photograph and a paragraph or two about any given economy car. We take the time to put hundreds and hundreds of miles on each and every odometer. We test for real-world fuel-efficiency with a light-footed driving style … because mileage matters. Our unique video car reviews take the time to demonstrate the tools you can use to achieve higher fuel efficiency. While more and more vehicles are equipped with real-time gas mileage displays, you need to configure your dashboard properly and be in the right mindset to save fuel. It’s more about the technique, then the tricks. Budget tight? Don’t sweat it! You don’t have to fork over big bucks for an expensive new hybrid car. You can find a significant number of 40 MPG used cars on the market, if you know where to look. Refurbishing an older car is a great way to cut down on overall costs while driving a truly unique vehicle. With the right aftermarket parts, you can achieve even higher levels of fuel efficiency. Is the Manual Transmission Staging a Comeback? @MrReeds – Aye, yup! Thanks for the catch … I’ve fixed the typo. I would love to see a list of vehicles with 1,000 lb or greater towing capacity listed by their MPG (top 25?). I’d suggest that you add a column to your charts for the MSRP listed price and then make the entire chart sortable by column headings and/or year, that would really help shoppers sort through all the figures for all the vehicles you have rated. Looks like the snowjob to cover old public knowledge never relents. You guys at this site are participating in a massive scam that puts the world in danger. Just search “Pogue Carburetor”. It is a heating element on the fuel line that makes fuel enter the carburetor as a hot vapor, giving a ghetto cruiser over two hundred miles per gallon, coast to coast and back. Canadian inventor C.N. Pogue patented and demonstrated it in the 1930s. You can look it up at the US patent office. Spotlight Magazine published the blueprints to it and a score of carburetors much better than manufacturers install in “Secrets of the 200MPG Carburetor”. Is the price the world pays directly for waste as bad as what we pay for a wasted environment? For one cost; the kids who live next to roads who get leukemia from the smog? Do the most dangerous criminals wear ski masks or business suits? MPGOMATIC, Don’t take part in the scam! Publish the truth on working alternatives! SEARCH “pogue carburetor”! I am surprised that you failed to test and show the Mercedes Benz GLK250 Bluetec 4Matic. I own this 2014 diesel SUV and get have over 18,000 miles on it already. I’ve experienced 31mpg to 37mpg in town and got as high as 40.1 mpg on the highway. Why leave it off your reports? @Mike – Great numbers, Mike … and thanks for the catch! It was an oversight on my part. I’ve only driven the GLK250 Bluetec briefly at a media event, this didn’t allow enough time to produce a full review. It’s a sweet ride. I’ll be adding the GLK250 to the lists and fingers crossed, I’ll secure one from the media fleet to test before winter is over. What about the Nissan Note. I regularly get 36 – 37 mpg in mixed driving, and 42-45.3. It’s not a hybrid, electric or diesel. 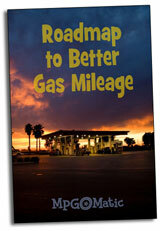 The higher mileage numbers should read highway miles.